This is the Official website for Flo. 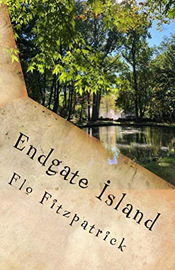 Listed here are upcoming book titles, book excerpts, shameless promotional links, and other fun stuff from author Flo Fitzpatrick. 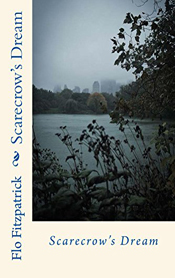 Flo's books are a medley of romance and mystery with generous dollops of humor - and often a few splashes of paranormal. Coming in May from Encircle Publications! The plot hatches during a margarita fest at a Manhattan cafe. Create a contract-killing business. Get rid of pesky exes, professional rivals, and generally rotten personalities. Get off unemployment as well. But when a drunken Binnie Harrison announces the plan to patrons at the cafe, best friend Bootsie Kittredge wonders if the train has left the station. And when intended victims on the ladies' list are murdered, Bootsie and Binnie suddenly find themselves dealing with skeptical detectives, mob bosses, fake psychics, and a magician who seems to know their every move sans GPS...all while auditioning for Broadway shows. Plus,there's that other glitch in their lives...trying to prove their innocence. The question is...are they? 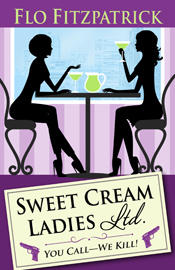 Sweet Cream Ladies, Limited. You call--we kill! © FloFitzpatrick.com 2010-2019. All rights reserved. Site by Glass Slipper WebDesign.